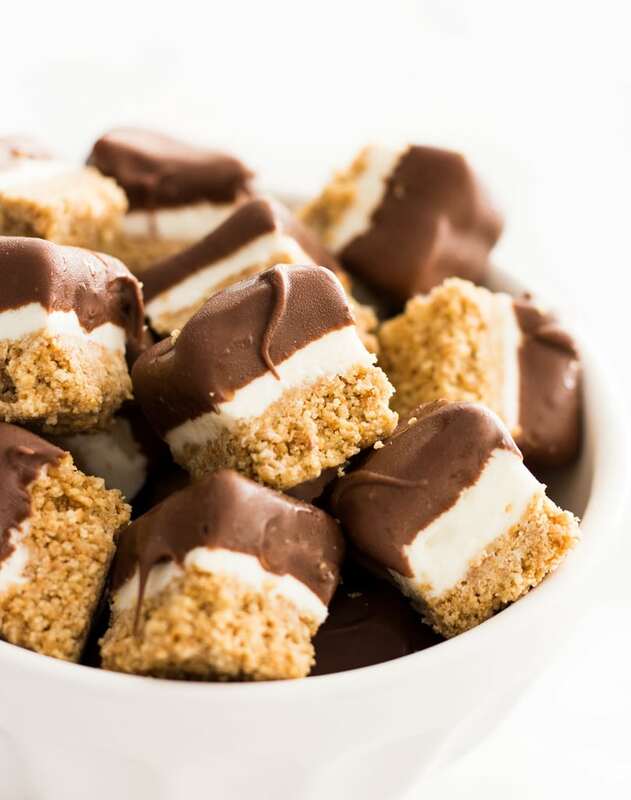 No bake cheesecake bites are a mini indulgence for your sweet tooth. No baking needed, these little treats are frozen making them perfect for a hot day! It’s hard to believe it’s the first day of fall! It’s over 80 degrees out, which has me aching for a chilly treat. 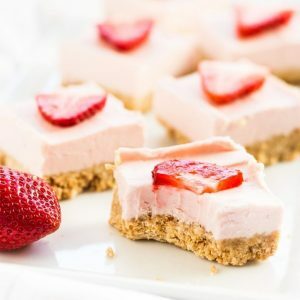 Today I made no bake cheesecake bites to indulge in and cool down from the heat! These little guys are incredibly easy to make since they require no baking. Yes, it’s possible to do that with cheesecake! 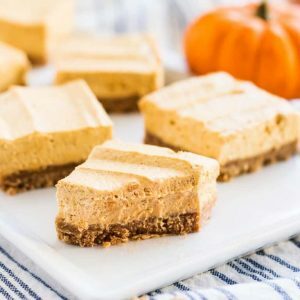 And each bite tastes incredible—smooth and creamy cheesecake, a hard chocolate shell and a butter graham cracker crust. The no bake cheesecake method is quite simple. Simply leave out the eggs and the cheesecake filling is safe to eat on its own! The graham cracker crust only requires graham crackers, butter and powdered sugar. Those ingredients combined make a delightful buttery crust for the cheesecake to sit on. The most important steps are to freeze the crust so it sets and then freeze the filling once it’s layered on top. This will make the cheesecake sturdy and easy to cut and eat! And boy will you want to eat these cheesecake bites. Dipped in melted chocolate, each one delivers a punch. I love storing these little guys in the fridge or freezer. 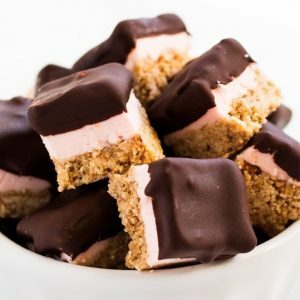 The fridge keeps them a little softer, while the freezer hardens them making it a melt-in-your-mouth treat. Pop one in your mouth when you’re craving something sweet and you will definitely be satisfied! 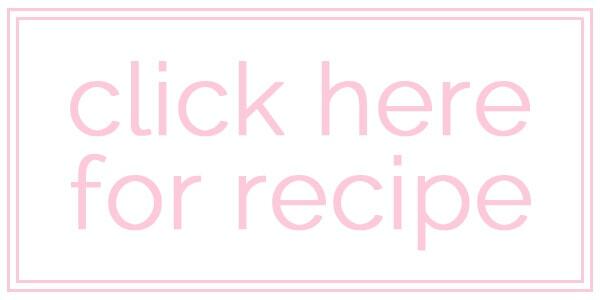 For this recipe, I teamed up with SoFabFood. Head on over to their site for my full recipe and enjoy! 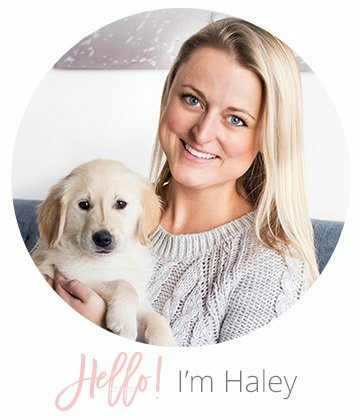 STOPPPP, could these be any cuter??!! !